I'm the second owner of the SX4, owned it for 9 years with extensive maintenance. It has 142k miles. It was my daily driver, but I work from home and travel often, so it usually sat and didn't collect many miles. Also has a six-disc changer. I have two other single-disc changers (original, and one mailed to me by accident) to include. The engine ran out of oil and completely seized up, and so it's up for sale. All parts of the car were taken care up, including radiator and transmission flushing. A very large and expensive repair was just done for exhaust / emissions work, which left the car with an un-ending Check Engine Light, and ultimately our inability to realize it lost all of its oil in 3 months. It honestly just needs a new engine to keep going for many more miles. Located in the Baltimore/DC region of Maryland. Last edited by Rurik; March 26th, 2019 at 01:34 PM. Describe the expensive repairs that were recently performed. Exact location of the car, and can the car be started and driven onto a trailer? Have you tried salvage yards for a replacement engine, assuming the rest of the car / drivetrain is good? 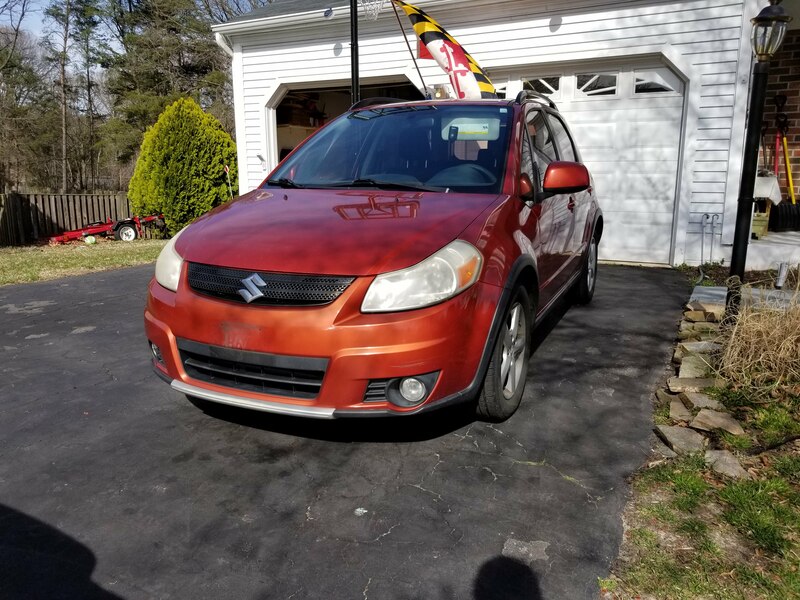 Brandywine Auto Parts in southern Maryland had a deal on replacing an SX4 engine with a good salvage unit with warranty for around $1200 - 1300. Price is hard to gauge, having never been in this situation. My initial thought is $750 considering the shape of the rest of the car. I've used my local mechanic for five years and if anyone is really serious I can try to pay him to run off every bill he has for it. Location is between Baltimore and DC, I won't get more exact than that. And, no, cannot be started (seized engine). Rest of drivetrain is good; just the engine shot. We were going to replace the engine but I cannot be without a car for the 4-6 weeks needed to hunt for an engine, or get a new one shipped in. I've already bought a replacement car, and dropped registration/insurance off this one, so I'm not going to do the additional work.